There is no typical day for Katie Lambert, but she says that’s what makes it fun. Her daily activities are wide-ranging to include intense focus on project planning and design, meeting with clients, and working with internal teams. In each case, she works holistically to build the quality of OKW’s design work. As Design Director at OKW, Katie guides our architectural design and overall creative output. Sometimes she authors the design of a project, but frequently she’s providing constructive feedback to the work of other team members. 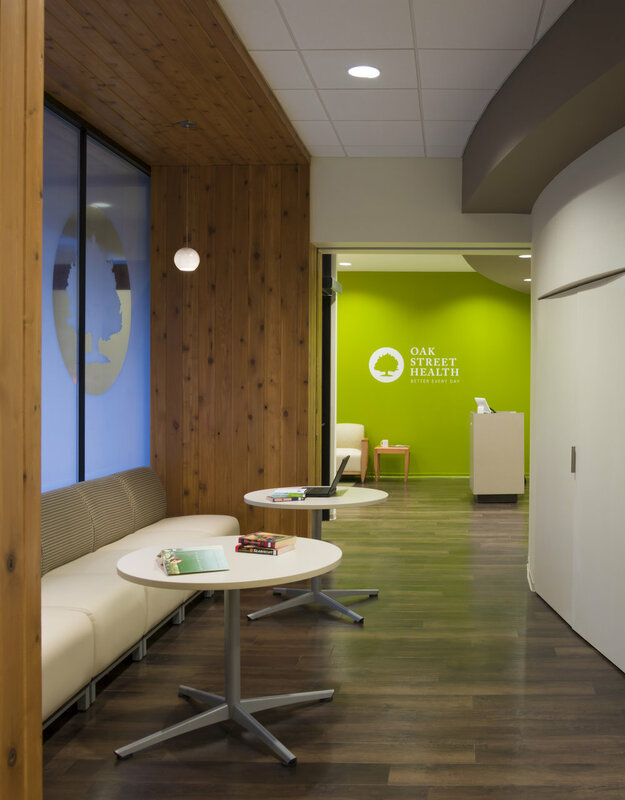 Katie’s experience spans the full range of OKW’s market expertise, including project types as diverse as mixed-use, workplace, and medical office design. When she started at OKW 6 years ago, Katie was excited by the opportunities OKW presented. She chose to join the firm because it offers employees at all levels access to leadership and daily decision-making. Now as a senior leader in the firm, Katie’s collaborative nature contributes to the inclusive culture at OKW. The word that comes up repeatedly in our meeting is “thoughtful”. Lambert describes her colleagues as thoughtful about the way they approach their work, she says that’s what drew her to the company. Katie relates her motivation to author new designs as choosing to live and work in Chicago with her family. Walking around the city galvanizes in her mind the impact of architecture on people’s daily lives.